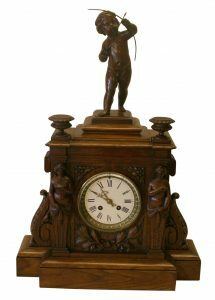 An oak Black Forest mantel clock with a Japy Freres eight day movement. 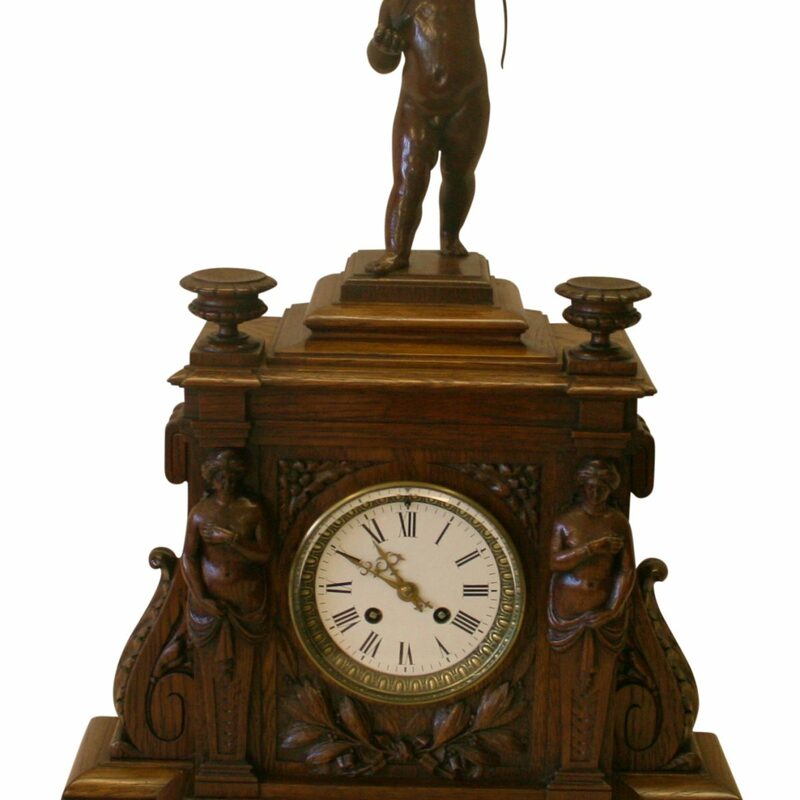 The top has a finely carved cherub flanked by two urns. 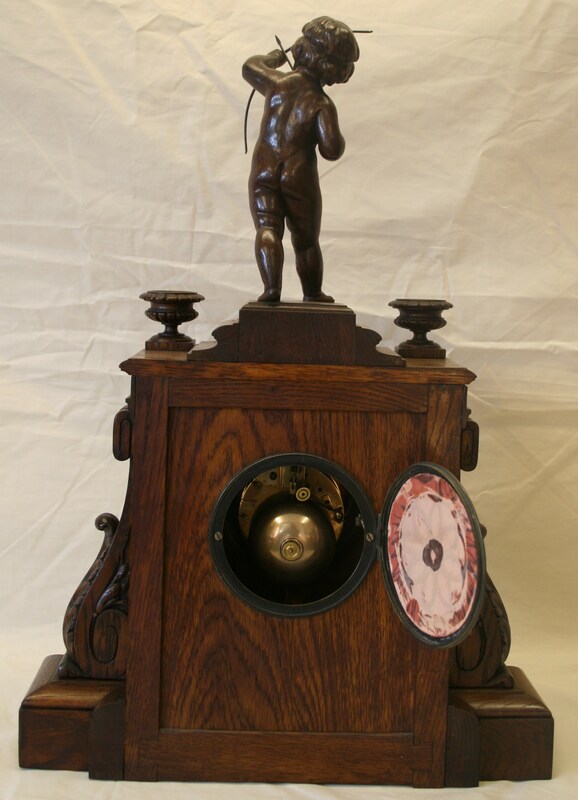 The enameled dial with roman numerals is set in a carved case with scrolled and carved buttress to each side. It is raised on a plinth base. The movement is marked with Japy Freres & Cie Grd Med DHonneur. This indicates that Japy Freres was awarded the Grand Medal of Honor, the highest award, at the close of the Paris exposition in 1855.